This guide is designed as an online resource to help schools adopt and implement the NASP Practice Model. This guide is designed to help move toward the implementation of the NASP Practice Model by setting goals that best meet the needs of your school building, district, or state. View this accompanying webinar for an overview of resources to support implementation. The NASP Practice Model lays out the range of knowledge and skills that school psychologists possess across 10 domains of comprehensive practice to meet the needs of youth, families, and schools, as well as organization principles of effective schools. 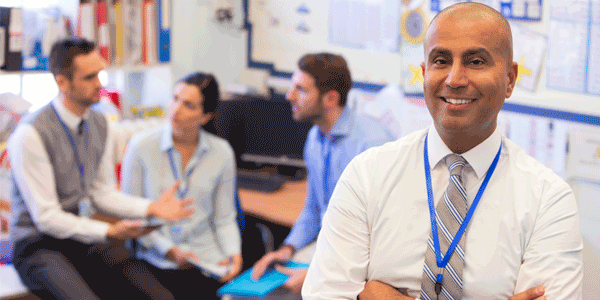 By identifying and addressing pressing needs in your school or district, you and your colleagues can move toward a comprehensive service delivery model to ensure that all students are achieving their best academically, socially, and emotionally. Six organizational principles are articulated in the NASP Practice Model to describe the conditions necessary to ensure effective delivery of school psychological services. While conditions can vary between schools, they can be improved by sustained, strategic action. Embedding principles of the NASP Practice Model in the evaluation of school psychological personnel and services can help schools implement a system of continuous improvement in service delivery at both the individual level and system-wide. Consistent adoption of these standards ensures the public that students can access needed services wherever they live. School psychologists must be able to communicate the value of national standards in improving outcomes, and the importance of their adoption.